Turn your customers’ yards back into a Haven. 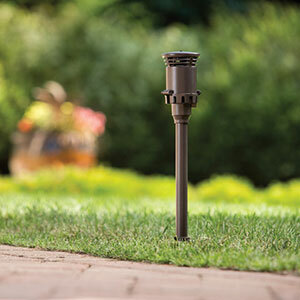 Introducing the first of its kind NuTone Haven Backyard Lighting & Mosquito Repellent System. Haven features innovative landscape fixtures that provide effective protection all in one complete system. Installed on its own or as an add-on to existing low-voltage lighting, Haven emits an odorless vapor that repels over 90 percent of mosquitoes and lasts all season long*. See what it can do for your customers at nutone.com/haven.